The 1st of August 2017 was a busy day at HESC. 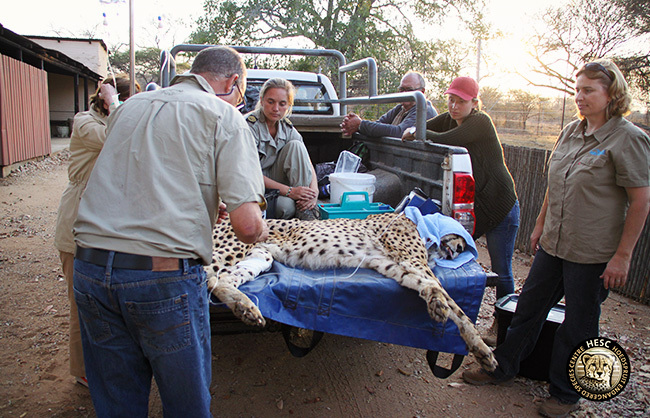 Dr Rogers was on-site to treat a male cheetah that wasn’t doing well, and then also did DNA profiling on four cheetah cubs. We’ve noticed recently that one of our male cheetahs was not eating well and his condition was deteriorating as a result. 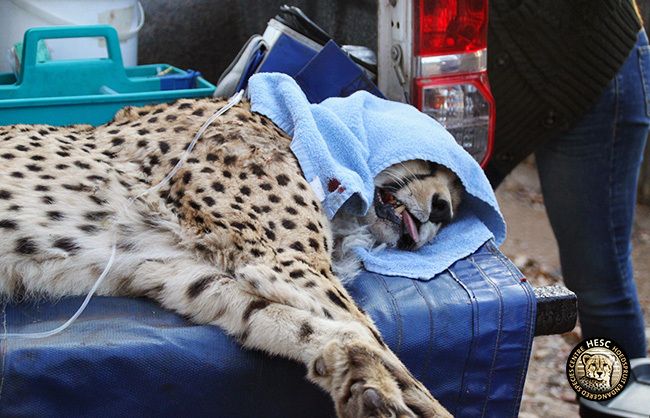 Dr Rogers darted the cheetah, and a catheter was facilitated in order to intravenously administer drugs and fluids. 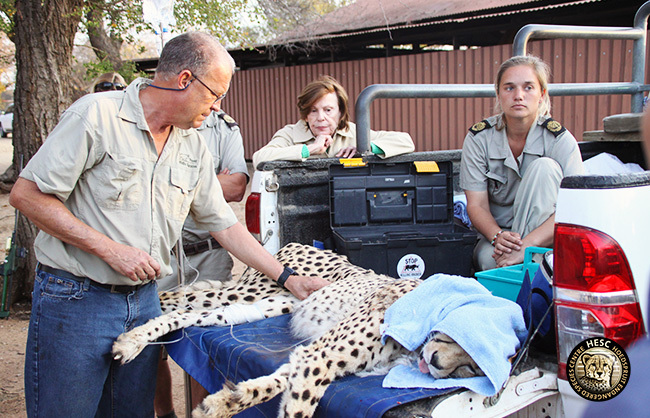 Blood samples were also drawn so that the cheetah’s liver and kidneys could be screened – this would help determine whether the cause of the cheetah’s ill health wasn’t as a result of liver and kidney malfunctions, as cheetahs tend to be prone to kidney and liver diseases. 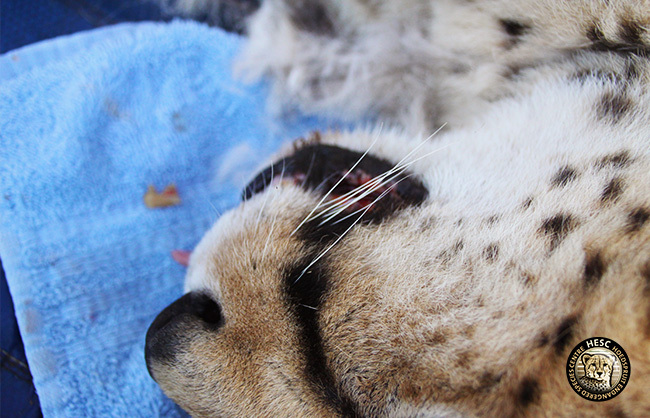 Dr Rogers also extracted a broken tooth, which might also have been the cause for the cheetah’s lack of adequate eating, and therefore deteriorating condition. 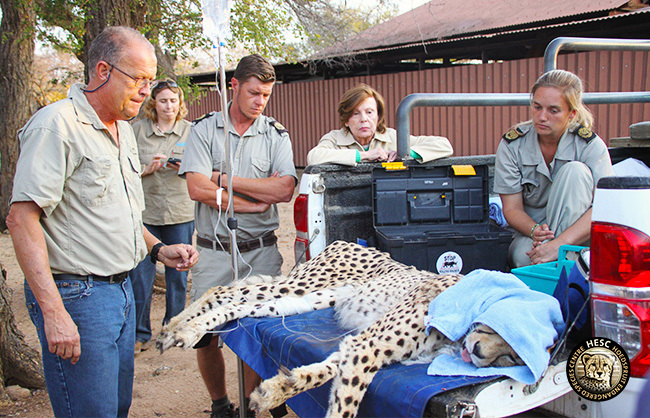 While the cheetah was sedated he was put on a drip of glucose saline and treated with long-acting antibiotics. 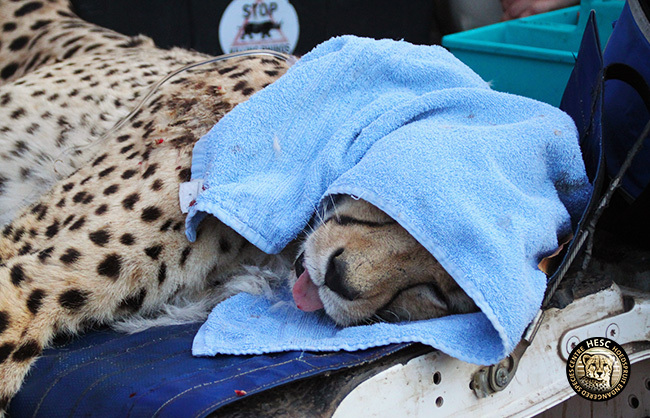 We are hoping that there’s nothing seriously wrong with this cheetah, and will keep you updated with the results.